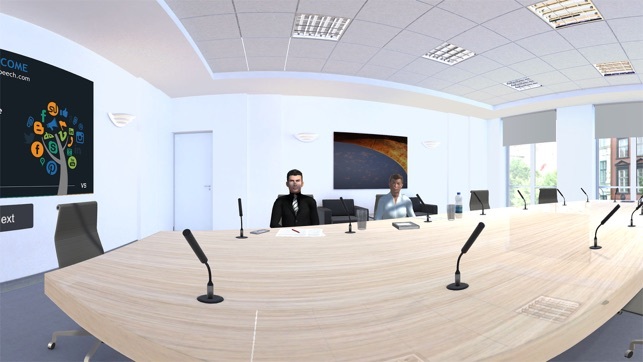 Practice soft skills in virtual reality with the VirtualSpeech app. Scenarios include public speaking, sales pitches, networking, presentations and media training. *app formerly known as Public Speaking for Cardboard / Public Speaking VR. 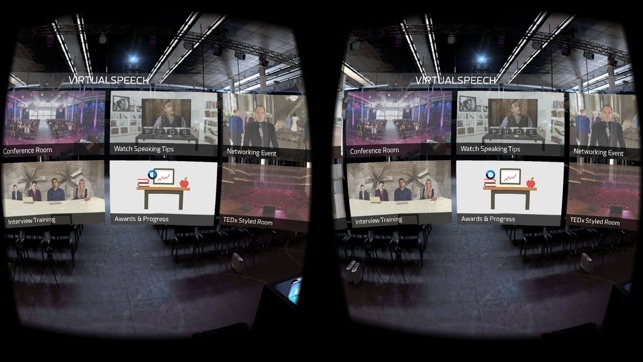 Our app works with VR headsets, such as the Google Daydream, Google Cardboard, Blitzwolf VR and Merge VR. - Speech Analysis: we provide real time feedback on elements such as hesitation words, pace of voice and eye contact. 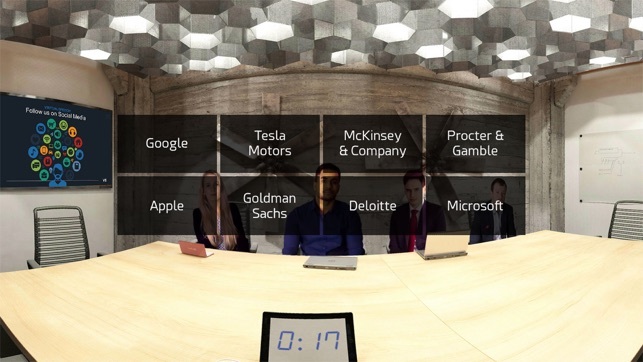 - Realistic VR Scenarios: selection of high quality rooms to improve your soft skills in, from communication to networking. - Track Your Progress: unlock awards, track speech analysis progress and listen back to your previous speeches. 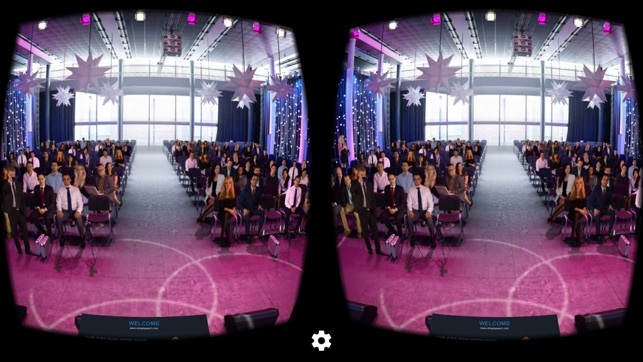 - Sound & Visual Distractions: audience and room distractions add to the immersion and make you feel like you’re at the event. 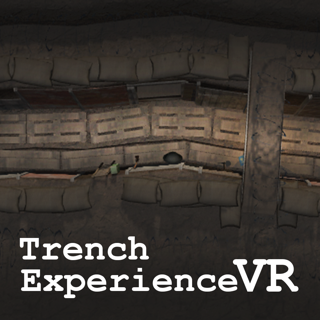 - Add Your Own Slides: add your slides into the virtual room within the VR app, so that you can practice for an upcoming event. 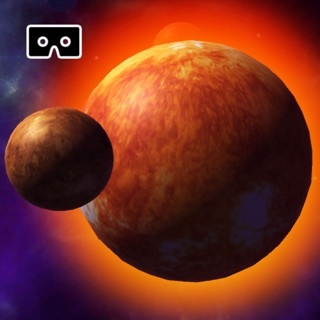 A VR headset is required when using this app. It is a device you wear over your eyes like a pair of goggles. It shows you an image on a high-definition screen in front of your eyes. 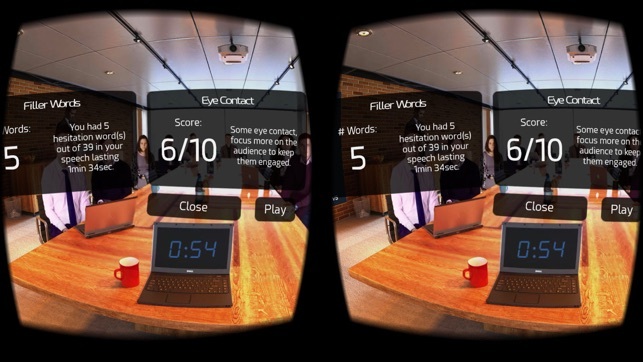 The goal of the VR headset is to immerse you in the virtual environment. I think that this app is amazing and is a great learning tool for both adults as well as children to learn and improve public speaking skills. I entered into a boardroom, started the analysis option and began speaking as the animated audience nodded their heads and imitated other natural human movements. Once I was complete, I stopped the analysis to see my results. I received a score of my words as well as how well I made eye contact. Practicing public speaking and presentation skills in front of a live audience is not easy to come by, but with this app, you’re able to practice unlimitedly and receive instruction, training and tips. I enlisted my 10 year old to try it as well. She quickly learned how to navigate and make selections. She used the preloaded speech feature and gave a roaring speech, pumping her fist into the air and rallying an excited crowd. This app is great for adults and students to help them prepare for school presentations, work presentations and seminars. A great tool to practice public speaking. My confidence has increased a lot after using this tool. A must have for aspiring speakers. 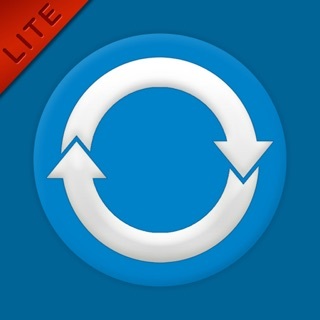 This is a great idea for an app, but it’s hard to use and crashes a lot.